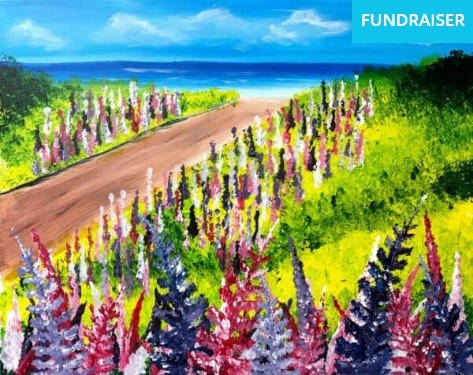 East Coast Art Party is hosting a fun night of painting in support of the QEH/Eastlink Telethon. Create your own unique “Lupin Road” painting! No experience required; trained artists will guide you from blank canvas to completion of your very own masterpiece. Tickets are $40. The event is scheduled for April 3 from 6:30 – 9:30 p.m., at the East Coast Art Party Studio at 135 Great George Street in Charlottetown. Create your very own “Lupin Road” masterpiece!